Hello there, welcome to my humble site. I’m offering my services as a sound engineer, music teacher, home recording consultant, live sound assistant, and session musician. However you got here feel free to poke around. Click the links above to jump straight to what you’re interested in or cruise along and get to know me. You can also jump straight to the bottom for contact info. I have been playing and performing music for more than 20 years, from musical theatre to performing with and recording various bands. I’ve spent time playing rock, metal, jazz, early 1900s jazz and blues, ragtime, country, Indian music, and all sorts of styles in between. I don’t believe in limiting one’s musical tastes when there’s just so much music in the world. After receiving the Outstanding Music Technology Student of the Year award in 2013 I received an Associate of Arts in music and technology at Lane Community College in 2014. I assisted the instructor of the Audio Engineering course and for three years I worked as the assistant to the Music Lab Coordinator tutoring music and technology. I am also a CRLA certified tutor. 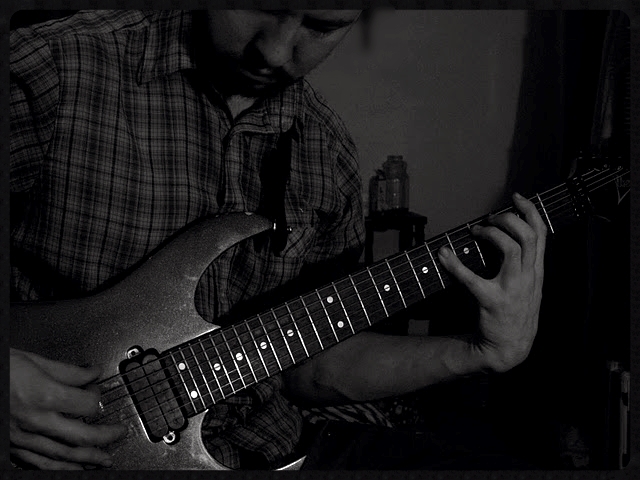 I have been teaching private music lessons of all levels for 5+ years, from children to adults. As a musician I get to apply my ears to the engineering and creation of sound. As a sound engineer I get to come at the field with the foundation of a seasoned musician. As a student of sound I get to appreciate the complexities of science, math and physics. As a physics minded individual, I long to better understand the complexities of sound and all its subtle intricacies. Having worked to learn a variety of instruments over the years I love passing on knowledge and helping others get excited to play and create music. If you check out my thumbtack profile you can see some references from satisfied customers. Beyond that please feel free to contact me with any questions, or even jokes and riddles! Home/Mobile Recording: I can come to you! Record a project at your rehearsal space or in the comfort of your own home. A far cheaper option than booking a studio. For examples of what I’ve recorded outside of a studio give a listen to any of the Breakers Yard, Ara, Zack Bryson, or Athame tracks in the player. Mixing/Mastering: Got home recordings that don’t sound quite right? Want to polish up old recordings or records? In addition to recording I can work with you to bring out more of what you want to hear in any project. Though my preferred DAW is Reaper I am totally proficient with Pro Tools and Digital Performer as well as a wide variety of digital plugins. Live Sound: I have experience helping with live shows (setting up mics, helping with and balancing levels, wrapping cables, schlepping, etc.) and would be more than happy to lend you my services in the field of live performances. The songs in the player are all projects I have had a hand in producing. Feel free to ask about them! $40 an hour as a base rate, but that can be flexible depending on the nature of the project. Acoustic/Electric Guitar: Ragtime or Piedmont style picking to rock, heavy and or speed metal and lots of stuff in between including beginning Northern Hindustani Indian Classical. Acoustic/Electric Bass: If bass is more to your liking I’ve played everything from rock and metal on electric, country and jazz on stand-up, to old jug band jazz on washtub. Drums: Basic rock to metal. 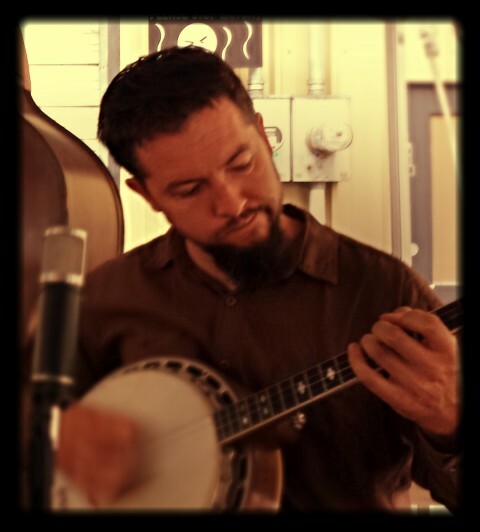 Banjo: Basic styles all the way to 20’ and 30’s jazz and claw hammer. Additionally: If you’re just starting out on something like ukulele, mandolin, accordion or any kind of stringed instrument, think you need a little extra help, or just need someone to push you to the next level I can help. My process as a teacher has always been to craft the lessons to the student and get you playing songs that you are excited about! Home Recording Consulting: For the past three years I have helped students navigate, record, mix and master in Pro Tools and Digital Performer at both personal stations and the professional recording studio at LCC. I have also spent plenty of time setting up my own equipment and know how incredibly challenging it can be. PC or Mac? No problem! Music Fundamentals: In a class or just wanting to expand your knowledge of the crazy language of music? I can help. From a beginning level to more intermediate content we’ll work together to make sense of it all. I charge $30 an hour for lessons. All ages and skill levels are welcome! In addition to being comfortable working in a studio I have also recorded on many albums throughout the years, both as a band member and as a session musician. If you’re in need of a multi-instrumentalist for your recording session I might just be your guy. Feel free to listen to any of the tunes in the player. I’ve played at least one or more instruments on each of them including (but not limited) vocals, washtub bass, washboard, and accordion. The songs in the player are all projects I have recorded on. Feel free to ask about them! © 2014 Crockett Sound Labs. Design by BPSD.